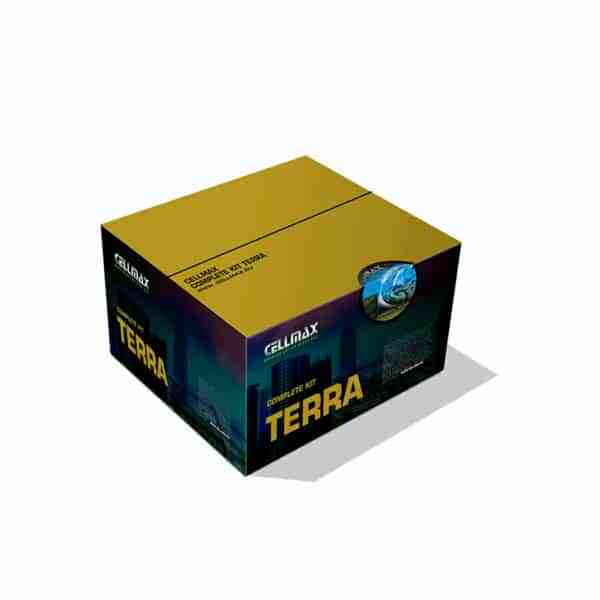 The Cellmax Terra start kit is the perfect way to start growing on soil. The Cellmax Terra start-kit contains the Cellmax universal soil potting soil with al the Cellmax fertilizers to get the maximum results out of your plants. Save 30 euro with buying this kit instead of the products seperate. The Cellmax Terra Start kit. We made it easy for your, everything you need to start growing on potting soil. We have included al the necessary fertilizers and soil and a grow scheme to start growing with Terra right away!